EuroMist fine mist pump system offers both reliable operation and consistent dosage in a familiar, user-friendly package and is now available with 2-way dispensing! 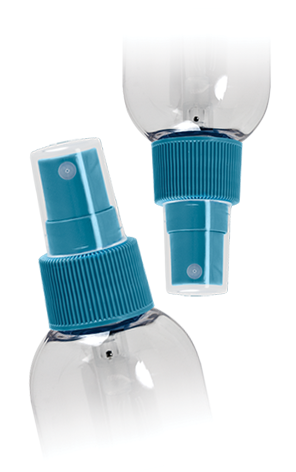 2-way allows consumers to spray both upright and upside down, perfect for repellent, sun care, and pet care applications. Wide variety of spray options offered, including our Heaven spray technology for up to three times longer duration spray.